Royalty Hightower was born and raised in Cincinnati, Ohio, and started dancing before she could walk. She joined the Q-Kidz Dance Team at age six, and competes nationally on their junior squad in the field show, parade, stand battle, and creative dance categories. She is a self-learner and even taught herself how to do back flips. Royalty enjoys dancing, acting, rapping, cooking, and gymnastics and is an honor roll student. 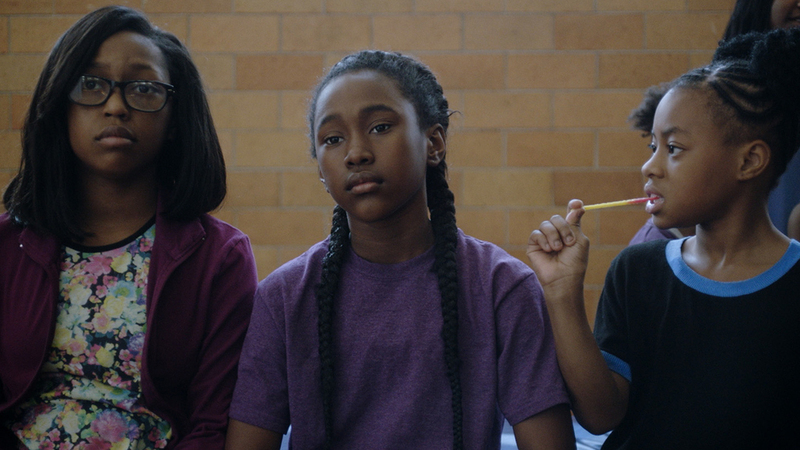 She was cast as Toni in The Fits at age nine and this is her first on-screen role. The Q-Kidz Dance Team began 29 years ago in the West End of Cincinnati. The violence in the surrounding housing projects led Marquicia Jones-Woods to look for something the neighborhood kids could do after school to keep them safe and productive. Q-Kidz is far more than a dance team though. Marquicia -- Ms. Quicy (pronounced Kwee-cee) as she's known to all the girls -- and her 25-year-old identical twin daughters who choreograph the dances, Mariah and Chariah Jones, devote themselves entirely to these girls. First, they teach them how to dance, but more than that, they instill values about the importance of a good education, living drug free and stopping the violence in their community. The girls all refer to Ms Quicy as a second mom. Makyla Burnam, team captain (and Legs in THE FITS), says, "Ms. Quicy has taught me everything that I need to know, about Drill, about Dance and about being myself -- respecting myself as a young woman." Anna Rose Holmer was listed as one of Filmmaker Magazine’s “25 New Faces of Independent Film 2015.” Her narrative directorial debut, THE FITS (Venice International Film Festival 2015), is a selection of the Venice Biennale College 2014/2015 and the Sundance Institute Editing Intensive Fellowship. She recently produced Jody Lee Lipes’s BALLET 422 (Tribeca Film Festival 2014, Magnolia Pictures) and Mike Plunkett’s SALERO (IDFA 2015). With filmmaker Matt Wolf, Anna co-directed and produced A BALLET IN SNEAKERS: JEROME ROBBINS AND OPUS JAZZ, a companion documentary to NY Export: Opus Jazz, (SXSW 2010 Emerging Visions Audience Award) which aired on the PBS Great Performances/Dance in America Series. Anna’s first documentary feature, TWELVE WAYS TO SUNDAY, was one of ten films to participate in IFP’s 2009 Documentary Filmmaker Lab and premiered with Rooftop Films in 2010. Lisa Kjerulff is a producer and co-writer for Anna Rose Holmer’s feature narrative, THE FITS (Venice International Film Festival 2015). Lisa recently completed production on Zachary Shedd’s AMERICANA, a feature narrative she produced in partnership with Flies Collective. Lisa has produced music videos (Small Black, Sinkane, Devendra Banhart, Bear In Heaven) as well as commercial spots for New York City Ballet, Google, Microsoft, Kiehl’s, American Express, and many others. Her first feature, NORTHERN LIGHT, was released in the summer of 2014. The film was an official selection of Visions du Reél, Hot Docs, True/False, and BAMcinemaFest, and Critic’s Pick in The Village Voice and The New York Times. Saela Davis is an editor and co-writer for Anna Rose Holmer’s feature narrative, THE FITS (Venice International Film Festival 2015) for which she attended the Sundance Institute Directors Lab Editing Intensive Fellowship. She most recently edited the vérité documentary BALLET 422 (Tribeca Film Festival 2014, Magnolia Pictures), which was directed by Jody Lee Lipes. She is currently working on the narrative feature AMERICANA, directed by Zachary Shedd. In 2013, she was an additional editor on NORTHERN LIGHT, a feature documentary, which was an official selection of Hot Docs, True/False, and BAMcinemaFest. In addition to features, Saela has edited music videos, commercials (Burberry, Canon, Google and others), and short documentaries. Paul Yee has lensed the award-winning HBO documentary series East of Main Street since its inception in 2010. He is the additional cinematographer for IT’S ME, HILARY: THE MAN WHO DREW ELOISE, which premiered at Sundance 2015. He has also shot music videos for artists ranging from Aimee Mann to ZZ Top, which have screened at film festivals such as SXSW and the LA Film Festival. Paul has shot short-form documentaries for the Whitney Museum, MOMA, and the New Museum and worked on a variety of commercial projects for clients such as L’Oreal, DIRECTV, Sabra, Barilla, and Clear Channel. 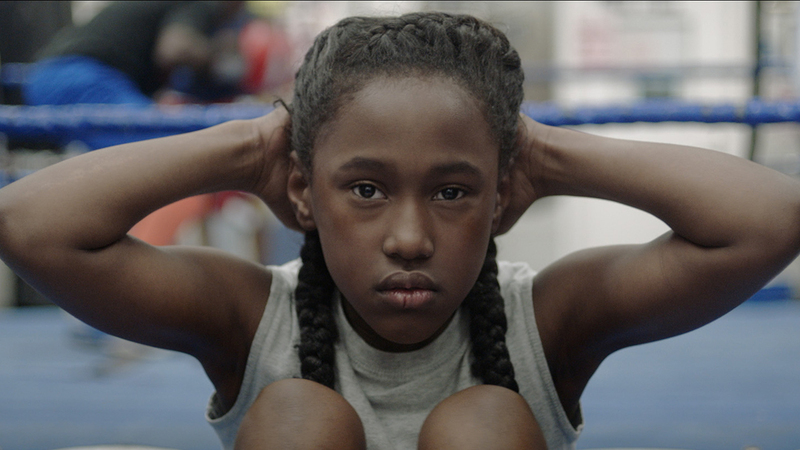 Anna Rose Holmer’s THE FITS is Paul’s debut feature film. Marquicia Jones-Woods is the Founder and Director of the Q-Kidz Dance Team. Marquicia started the Q-Kidz in 1987 to provide a positive and productive outlet for public housing children living in the West End. Since then, the group has grown to nearly 200 members. In addition to drill competitions, the team regularly performs its original production Stop The Violence, a play aimed at fostering dialogue about the impact gun violence on kids. Marquicia also worked with Cincinnati Metropolitan Housing Authority for 25 years as a Property Manager and Resident Council Liaison. In 2011, she was awarded a Congressional Commendation Award from Congressman Steve Chabot for her impact on the West End community. Mariah & Chariah Jones are identical twins and have served as the Head Coaches of the Q-Kidz Dance Team since 2010. Under their supervision, the team has competed in over 40 regional and national competitions. 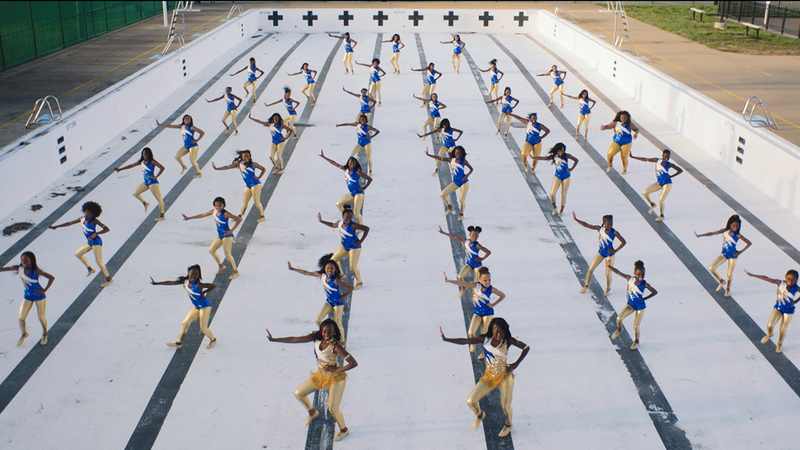 Most recently, the team was named the Grand Champions at the Battle of the Beyoncés competition in Memphis, Tennessee. In addition to competition routines, the twins choreographed the Q-Kidz during their appearance on the Lifetime series Bring It!, the Findlay Market Cincinnati Reds Opening Day Parade, and the “Big Love” music video for soul singer Jamie Lidell. Celia Rowlson-Hall graduated from North Carolina School of the Arts with a BFA in Modern Dance and Choreography. She immediately moved to New York on a fellowship from the Lincoln Center Institute for choreography and also began her career as a professional dancer, earning a prestigious Bessie Award for her performance. She quickly moved into choreographing for film and television, working with directors such as Gaspar Noé and Lena Dunham. She has also choreographed VMA award-winning music videos for bands such as MGMT, Chromeo, and Sleigh Bells and for fashion publications Vogue, Vanity Fair, and Glamour. Bringing her experience of choreography and performance to the screen, over the past few years Celia has written and directed over fifty short films and videos. These videos have garnered several awards including an Emmy nomination and have been screened at festivals such as SXSW, SFIFF, MFF, Rooftop Films, Glasgow, Dance on Camera at Lincoln Center, and art fairs such as the Armory Show, Performa, and the New Museum. Her feature film debut, MA, which she wrote, directed and stars in had its World Premiere at the Venice Film Festival 2015. She was named one of the 25 New Faces of Independent Film by Filmmaker Magazine, 2015. Stenfert Charles are contemporary film composers writing together in New York. They first started playing music together when they formed the unique instrumental rock band Priestbird in 2001. They recorded four acclaimed albums and were invited to tour internationally with many reputable bands including Pearl Jam. In 2010, they were approached to write their first feature movie score for TWO GATES OF SLEEP, which premiered at the Cannes Film Festival. The film demanded a unique minimalist orchestral score and quickly garnered the attention of several directors. Soon after, they were asked to score the critically acclaimed feature MARTHA MARCY MAY MARLENE. From Avant-Garde Classical music to sweeping epic orchestral scores, the composer duo then scored an array of award-winning films and documentaries including SIMON KILLER, THE ONE I LOVE, and Denis Villeneuve’s ENEMY – winning Best Musical Score at the Canadian Screen Awards. Each score they write has its own unique character – laden with vitality and real instruments. Be it small string ensembles, unlikely percussion groups, or a group of clarinets, the duo love to explore innovative textures, demand stark performances, and interweave beautiful spine-chilling melodies. Recently released films include LAST DAYS IN THE DESERT (starring Ewan McGregor), THE BENEFACTOR (starring Richard Gere), THE GIFT (starring Jason Bateman and Joel Edgerton), and the documentary feature THE WOLFPACK. At Sundance 2016 their scores include: CHRISTINE (starring Rebecca Hall), FRANK & LOLA (starring Michael Shannon and Imogen Poots), COMPLETE UNKNOWN (starring Rachel Weiss and Michael Shannon), and THE FITS. @gldr669 @BARFH Contact @OscopeLabs, thanks! RT @_CharlesPreston: I would like to see Royalty Hightower in more movies.